It wouldn't be right to get through a whole Birthday Week Giveaway and not involve Lucy Maud Montgomery. Not around these parts anyway! As you know, each January I host the Lucy Maud Montgomery reading challenge. To take away the excuse of at least one of you to participate this coming January, I'm giving away three titles which I've picked up here and there around town. These are all gently used copies, all currently out-of-print but worth the reading time (in my humble estimation.) Which titles, you ask? To win these three gently used books? Simply leave a comment below. Contest is open to U.S. Residents AND Canadians (because seriously? I couldn't exclude the Canadians on this one!) and will be open through Thursday, September 9th. Awesome giveaway! I have never even heard of these ones. I have The Blue Castle on it's way in the mail and I can't wait for it. Sounds wonderful! Count me in! What a great giveaway! I love how you encourage people to read your favorite books. Question: Are you receiving any books during your birthweek and, if so, what are they? Oooh, this would be fun to win. A super giveaway, I would love to win and read these books. 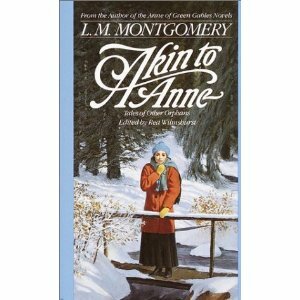 My library only has a couple other non-Anne books by LMM, and these are not it! I would love to win these! Thank you for an awesome giveaway. These are such a find! Thanks for this giveaway! I loved the Anne of Green Gables series and haven't read these yet. I'll join in for this one! I don't think I have read any of these yet. Oooooh! I don't have any of these titles and would love to add any of them to my collection! I've never read any of these either. I absolutely love the Anne books and haven't read any of those you have here. These books sound great - please include me! 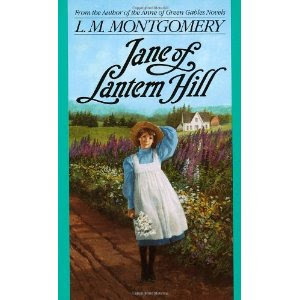 Jane of Lantern Hill is my absolute favorite L.M. Montgomery book! Love it! Well, my library has all the Emily books now, so that's my plan for January. But I would gladly make way for plan B if I won this give-away! I love L. M. Montgomery. I have never read Akin to Anne. Enter me please. Oh, fun! I have the complete original series but have never seen these titles! I would love to read these Lucy Maud Montgomery titles :) *Thanks* for the giveaway! I have not heard of these!!! How wonderful it would be to add these treasures to my LM Montgomery collection!!! Oh, fun! I'm in the middle of reading through the Anne series for the first time since I was a teenager. Love them! I have read the whole Anne series, but not these. They would be fun I bet! Sounds like a wonderful set! 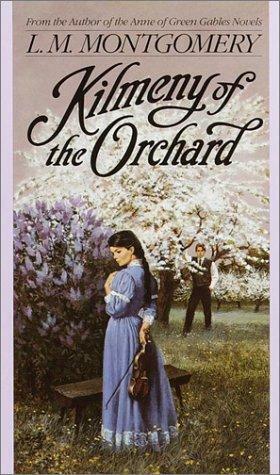 I loved Anne of Green Gables and many of the sequels as a kid! I've never read these...they sound great! I have never read these and my library doesn't have them! My girls and I are big Anne fans. I'm sure we would love these! You know I'm a sucker for all things Anne! Well being from Canada I am a huge Montgomery fan-I loved watching Anne of Green Gables. Oh, I'd love to win these! She's one of my favorite authors! I would love to win and read these books. Wow! Very generous giveaway! please count me in. I love all of the Anne books, but I didn't know there were any others. I'll have to check these out from the library, if I don't win. You certainly had to include us Canadians on this one! LOL. I would love to win these, Carrie, please enter me and hopefully this Canadian will win. LOL. I've read other L M Montgomery books, but have never heard of these. They sound great. A truly Canadian author! Thanks for including us in the giveaway. Please enter my name in the giveaway for the book. Thanks! Love Anne - I've got the whole set. But I've only read one of these three - how did I miss them?! This would get me a bit closer to my goal of owning every book written by L. M. Montgomery. Oh, I participated in your challenge this year. Would love ANY of these sweeties!! Great giveaway! Please include me. I love Anne of Green Gables. I've never read these books and would love to win! I'm right now re-introducing my 15 year old to Anne. These would be a fantastic addition to our library. I grew up reading this author!